First it was coconut water and coconut yogurt: now it’s all about coconut wax. 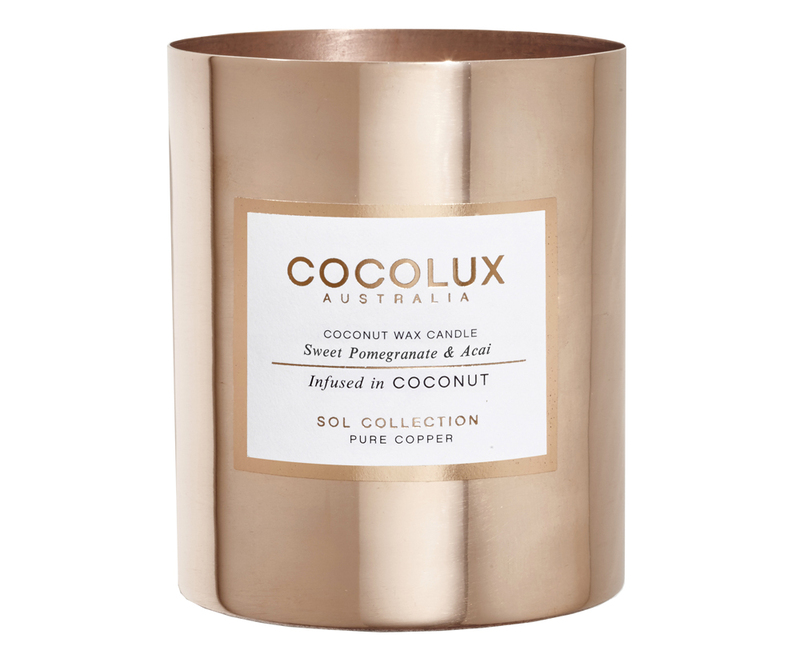 Australian brand Cocolux’s candles are a new take on eco-friendly scent and come in exotic fragrances such as Grapefruit & Lemongrass, Island Fig, Cassis & Peach and Tonka Bean & Lime Zest (yes, they smell a little bit coconutty too, but we like that; it transports us to tropical climes). The solid copper holder is a joy: you’ll want to keep it forever and repurpose as a vase or pen pot.